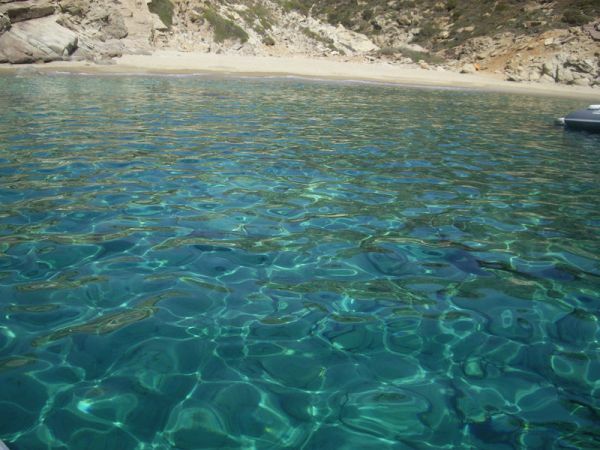 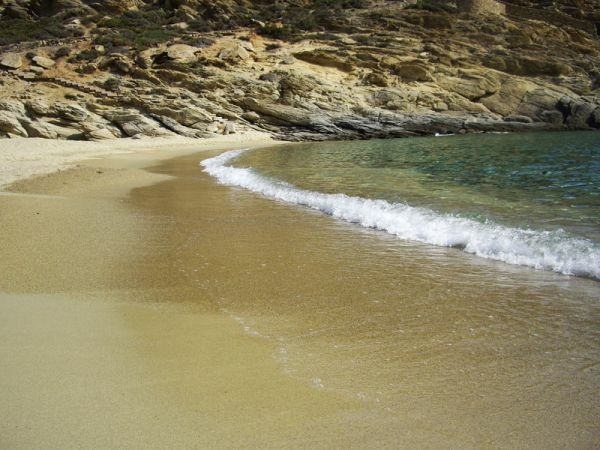 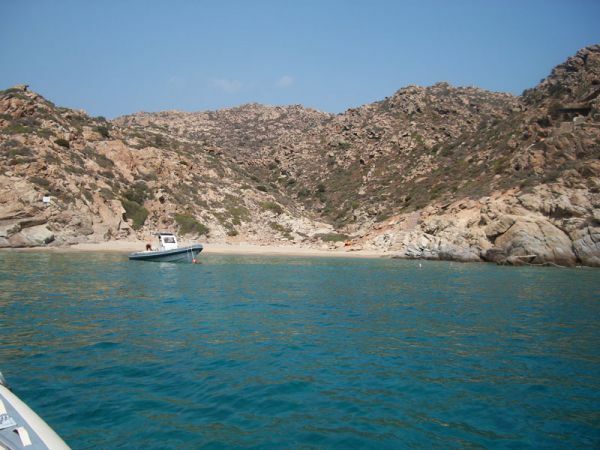 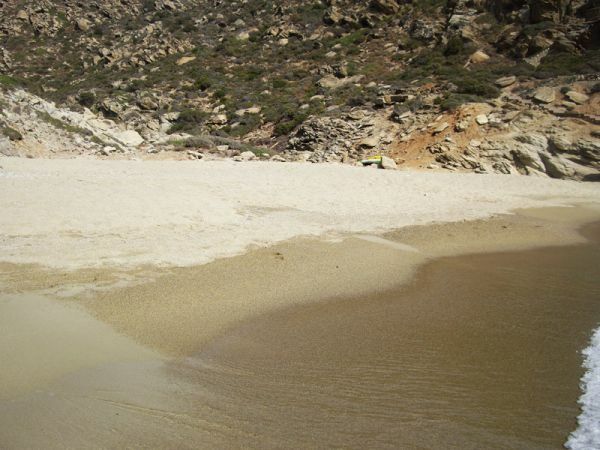 Trypiti is one of the most beautiful beaches of Ios island and one of the most unspoiled in the Cyclades. 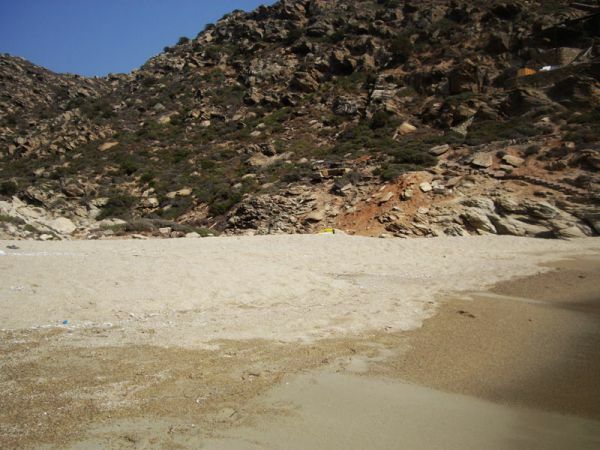 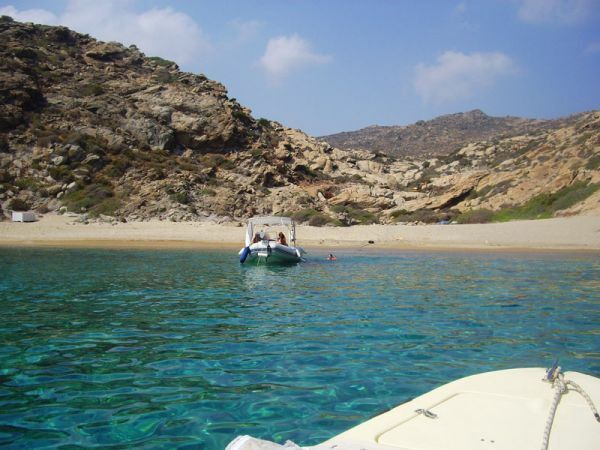 It is a rather small beach that can be accessed only by boat and it is not organised at all. 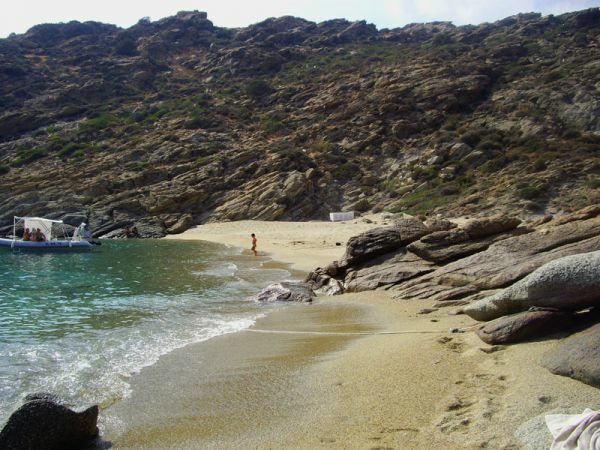 It has soft golden sand, crystal clear transparent blue-green waters and is surrounded by an unspoiled cycladian landscape. 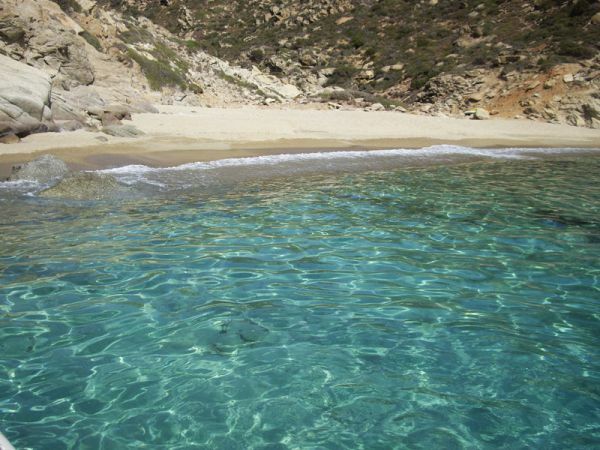 As it is found in a tiny cove at the south western coast of the island, it offers some protection from the meltemi that is usually strong in the central Aegean sea during the summer.